Can You Use a Dual Processor Motherboard For Gaming And Is It Worth It? You can use it, but it is not even remotely worth the investment. Four CPU cores are more than enough for modern games, something you can easily get in a single mid-range CPU today. Furthermore, all the other benefits of a dual-CPU motherboard are only relevant for servers, advanced workstations, and game streamers. Believe it or not, motherboards with dual processor sockets actually do exist. However, they are hardly mainstream consumer products. 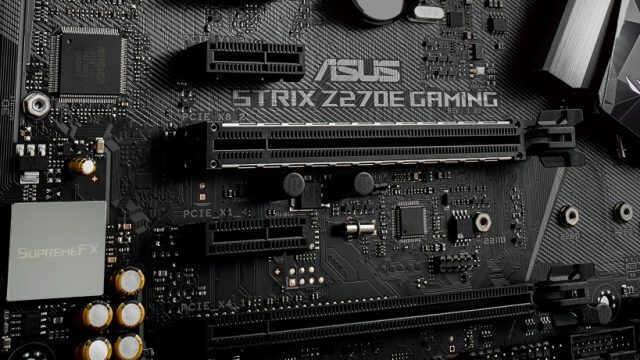 So, you probably just found out that such motherboards were a thing and are wondering what benefits (if any) they offer for gaming. This is something that we will discuss and answer below. A dual CPU motherboard will allow you to use two CPUs simultaneously, that much is obvious. But what do two CPUs actually provide that a single CPU cannot? For starters, it gives you a greater number of cores which, in turn, means better multitasking and more overall computing power. On top of that, it also enables greater PCIe and memory bandwidth. These motherboards usually also include additional PCIe and RAM slots, thus allowing more extension cards to be installed and increasing the maximum RAM capacity to 256 GB. Do You Need It For Gaming? We have already written about how many CPU cores are required for an optimal gaming experience and, as you can see, the golden number at the moment is four. We will elaborate more on that, as well as the other benefits of a dual processor motherboard below. What Does a CPU Do in Games? When it comes to running games, the CPU has several functions, the primary one being telling the GPU what to do i.e. what to render and when. The GPU is the one doing all the hard work when it comes to the graphics. Other than that, the CPU controls everything that is going on in the game – enemy AI, actions and reactions taking place in the game world, reading and loading assets from the HDD/SSD etc. While that may sound like a lot of work, modern multi-core CPUs can do that with virtually zero effort. Ultimately, the only thing that you need to worry about when picking a CPU is whether it will bottleneck the GPU. Bottlenecking is a term used to indicate a drop in performance due to a vast computing power gap between different components. In essence, a portion of your GPU’s capacity will be sitting idle and unused because the CPU cannot keep up. With that said, keep in mind that even four GTX 1080 Ti cards in SLI will be bottlenecked only slightly by the most powerful Intel i7 CPU – but if you have enough money to spend on four GTX 1080 Ti cards, then it would probably not be a problem to also invest in a slightly bigger motherboard and an extra CPU. How Important Is RAM in Games? Once again, a common question that we have already discussed is how much RAM you need for gaming. So, what role does it play (no pun intended) in games? Whenever you see a loading screen, that is your CPU reading game assets off the HDD or SDD and loading them into the RAM. This allows it to access said assets instantly due to how ludicrously fast RAM read speeds are compared to those of HDDs and SSDs. 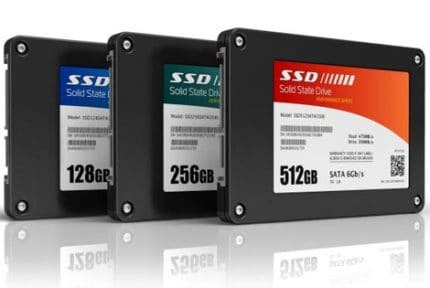 To put things in perspective, a modern HDD has a read speed of around 100 MB/s and most SSDs are currently around 500 MB/s. And RAM? A modern DDR4 RAM module running at 3200 GHz will have a data transfer speed of 25 GB/s. Now, as we have previously concluded, most modern games that are properly optimized (meaning that they are not a jumbled, clumsily-ported mess) will run smoothly with just 8 GB of RAM. That said, the eight RAM slots and 256 GB RAM capacity of dual processor motherboards is far from necessary. How Much PCIe Bandwidth Do You Need for Games? PCIe slots are used for graphics cards and a wide range of expansions cards, including sound cards, internal modems, adapters etc. But, as mentioned before, the latest i7 will only barely bottleneck four GTX 1080 Ti graphics cards, and a regular ATX or E-ATX motherboard will provide more than enough slots and bandwidth for that. All in all, this is a feature required mostly by servers that need to process massive amounts of data. And, to conclude, it should also be noted that there are no games which are made to utilize two CPUs at once. Indeed, merely 10 years ago when there were already multi-core CPUs, most game developers didn’t even bother optimizing their games for dual-cores. As such, if you were to play a game on a dual-CPU motherboard, one of those CPUs will just be sitting idle or handling other tasks. 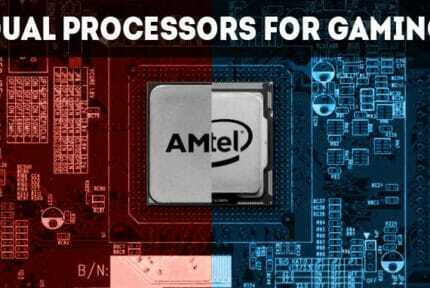 The bottom line is, dual processor motherboards are not for gaming. Of course, you can play games on one but investing in such a motherboard and two CPUs solely for gaming is literally a waste of money. 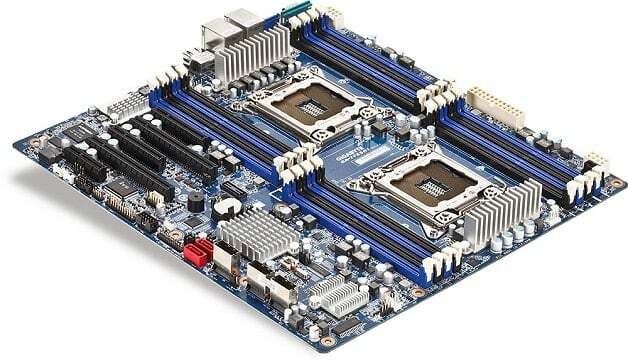 As mentioned before, these motherboards are for heavy-duty servers and high-end workstations that need the vast computing and multi-tasking power that comes from having two CPUs. An exception to this general rule is if you’re streaming while gaming. Many streamers utilize two PCs, one for gaming and one for streaming, but they could just as well use a dual-CPU motherboard. So in this particular case, a dual-CPU motherboard is worth it for gaming. As a regular gamer, you’re more than fine with just a single Intel Core i5 or AMD Ryzen 5 CPU, and even a Core i7 is only really required for multi-GPU setups. 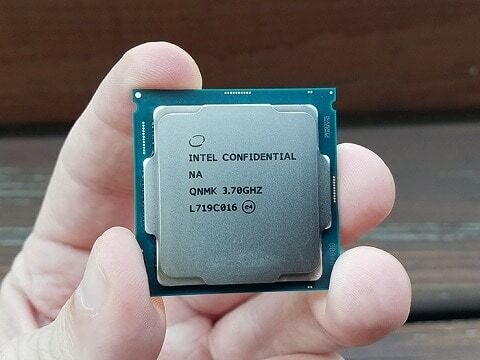 Can You Use a Dual-Core CPU For Gaming And Is It Worth It?